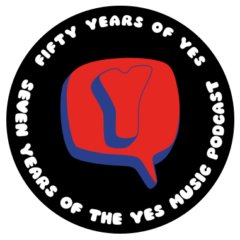 The twenty-third episode of the Yes Music Podcast featuring a round table discussion about Yes today with Andy Pashley, Paul Wilson and Joost Maglev. Should the band call it a day and retire from touring? Is Jon Anderson an essential element of Yes? Do we need Fly from Here II? Listen and see if you agree with the group then let us know by leaving a comment or contacting us via the different routes on the right hand side!